This graph displays a 3D Sphere drawn using parametric equations. The matrix data sheet has four matrices (matrix objects). The first three matrices contain the data for the surface of the sphere. 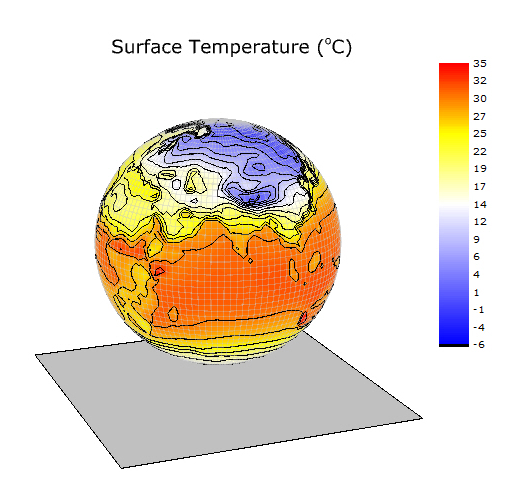 The 4th matrix contains surface temperature data, and this matrix has been used to set the color map of the surface. Set parametric surface to matrix1 and matrix2. Set Contour fill from matrix to matrix4.